An Ottawa student campaigning to make government budgets more clear has a strong ally - former parliamentary budget officer Kevin Page. Former House of Commons page Olivia Dorey was once one of the people hand-delivering the federal budget to MPs when the finance minister rose to deliver his speech. "And I couldn't. I couldn't find the numbers, I couldn't make sense of what they were trying to explain ... I'm used to doing my own personal budgets, and this book, this book was nothing like a budget to me," she said in an interview in Ottawa. Dorey studies public administration at the University of Ottawa, and is interested in politics. But she still couldn't figure out the budget. That experience jarred her to begin a personal mission to build a website where people could key in some basic demographic information and find out how the federal budget affected them. That's led Dorey to start lobbying MPs to build budgets differently. "If I can't understand public finance and find the information I need, what hope do other Canadians have understanding it?" Dorey said. She believes federal, provincial and municipal budgets should be clear enough that people like her grandparents in Bridgewater, N.S., who don't have university educations, can understand them. 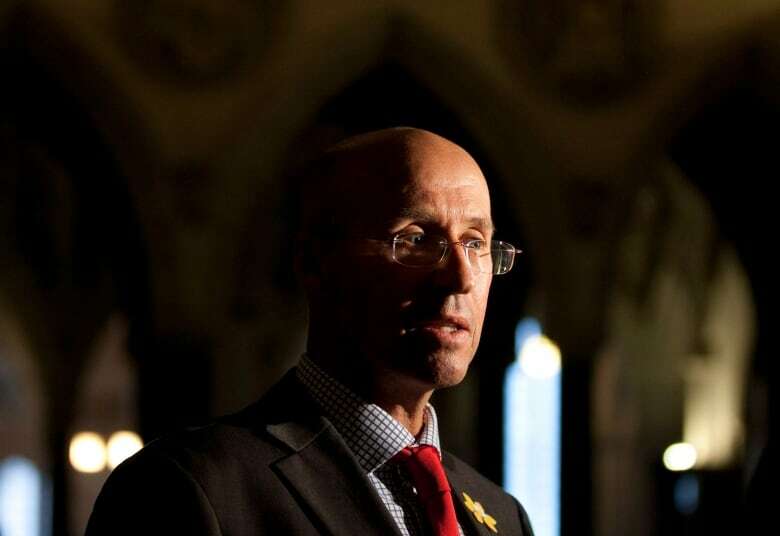 Her campaign led her to a strong ally: former parliamentary budget officer Kevin Page. The departmental performance reports, which recap how much was spent out of the amount budgeted, and staffing levels. Even then, it can be hard to track spending if you want to go back several years. The documents sometimes offer only a few years in the same booklet, so readers have to pull numbers from older versions too. Former parliamentary budget officer Kevin Page is supporting Olivia Dorey in her quest for more government transparency. (Adrian Wyld/Canadian Press)"These books aren't synced up in any way. They actually switch back and forth between accounting styles," Dorey said. "It's impossible to track money through the expenditure management system, and the way that it's presented ... you can't actually see or understand how much money is being spent on a specific department or on a specific project," she said. Page says Dorey took his public finance class a year ago and calls her very bright. Her first step, he says, will be to change the culture of government. Right now, civil servants and governing parties have little incentive for being open with information that can be used to criticize them. Parliamentarians vote based on departmental operating and capital budgets rather than specific program activities like veteran health care or Arctic oil spill cleanup. Some programs cut across departments, which makes it even more confusing. (Committees vote on specific program lines, but usually devote only one meeting to the estimates of the applicable departments). Dorey and Page would like to see the votes more specific to program funding instead of operating and capital budgets so the money is easier to track. There are people in the government who have the kind of information that Dorey wants available to Canadians, said Page, who spent a decade at the department of finance and another decade at the Privy Council Office (PCO), the bureau of civil servants who work directly with the Prime Minister's Office. "Some bureaucrats deep in the bowels of treasury and finance and PCO, we have that information, but we don't make it available," he said. But, he says, that insistence on secrecy is bound to change as Dorey's generation advances and becomes the new set of civil servants and politicians. "Olivia's on a course right now to kind of create a context for change, saying this is what we want. Here's the vision, this is what I'd like my grandparents and me to get, and my generation to have, in terms of access to information. So as citizens we feel like we know how our money's being spent. We can feel more engaged." It would be unsurprising if Page were cynical about government transparency, given the range and depth of the disputes between him and the Conservative government. "Olivia wants, and it's really her generation ... what we have now is not their future. We live in an information age and I think as Canadians, as citizens, you want to have this information and even as much you want your MPs to have this information."